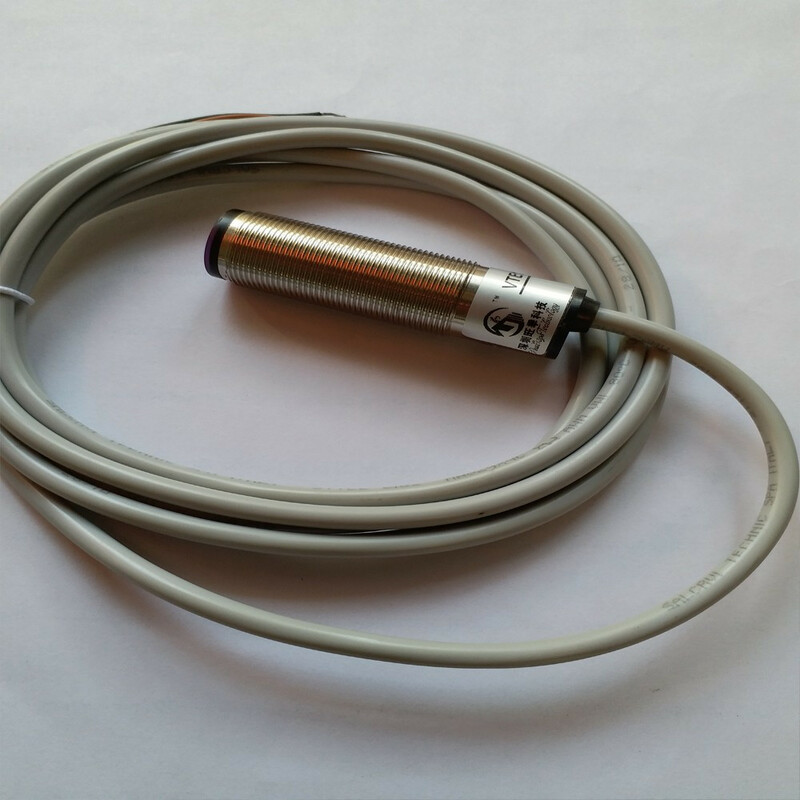 In recent years, the development of the RF GaN market has been impressive, reshaping the industrial landscape of RF power devices. Driven by telecommunications and defense applications, the RF GaN industry will continue to grow, and with the advent of the 5G application, the RF GaN market will accelerate. According to Mamms Consulting, the total size of the RF GaN market is expected to grow from $380 million in 2017 to $13 billion in 2023. 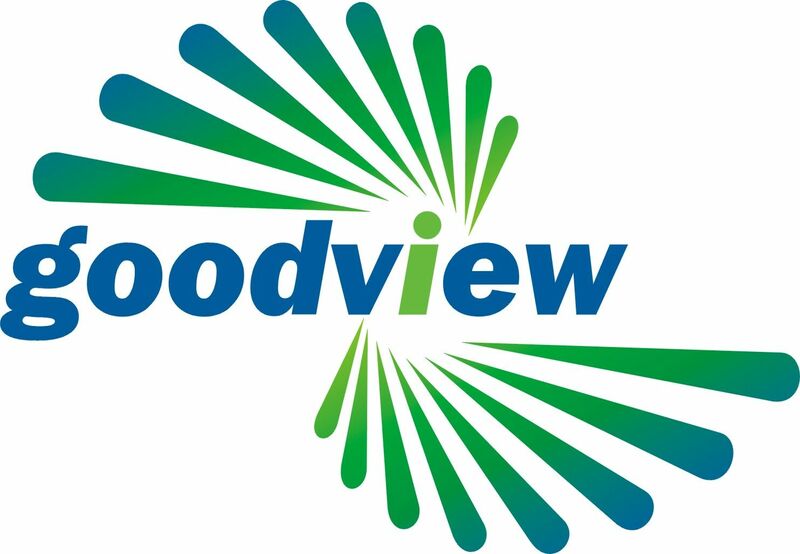 In this report, Knowmade, a subsidiary of Yole focused on intellectual property analysis, conducted an in-depth study of global patent trends related to GaN RF technologies and devices. Knowmade retrieves and analyzes more than 1,700 patent families published worldwide, with more than 3,750 patents (as of October 2018). These patents cover RF GaN epitaxial wafers (including GaN-on-SiC and GaN-on-Silicon). RF semiconductor devices (including HEMT and HBT), integrated circuits (including RFICs and MMICs), process methods and packages, including all subdivisions such as RF power amplifiers (PA) ), RF switches and RF filters, and RF devices from 6 GHz to greater than 20 GHz millimeter-wave (mm-wave). Cree/Wolfspeed has the strongest patent position in this technology, without controversy, especially the high electron mobility of GaN on silicon carbide (SiC) substrates. Transistor (HEMT) Sumitomo Electric is the market leader in RF GaN devices, with a strong patent layout in this technology area, but far behind Curry. 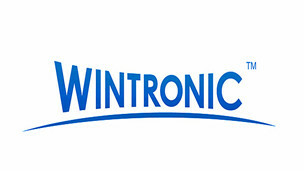 In addition, Sumitomo Electric's patent application The volume has been decreasing year by year, and the number of patent applications from other Japanese manufacturers such as Fujitsu, Toshiba, and Mitsubishi Electric has continued to grow, so these manufacturers are currently It also has a strong patent portfolio. Intel (Intel) and MACOM are currently the most active patent applicants in RF GaN, especially GaN-on-Silicon technology, they are now the main challengers in the RF GaN patent field. Qorvo, Raytheon, Northrop Grumman, NXP (NXP/Freescale) andInfineon (Infineon) and other major manufacturers in the RF GaN market have some core patents, but may not have a strong patent status. China Electric Power (CETC) and Xidian University occupy a leading position in China's RF GaN patents, with RF GaN technology for microwave and millimeter wave applications patent.China's first manufacturer of 6-inch gallium arsenide/GaN-based microwave integrated circuits (GaAs/GaN MMIC) pure-film foundry services. 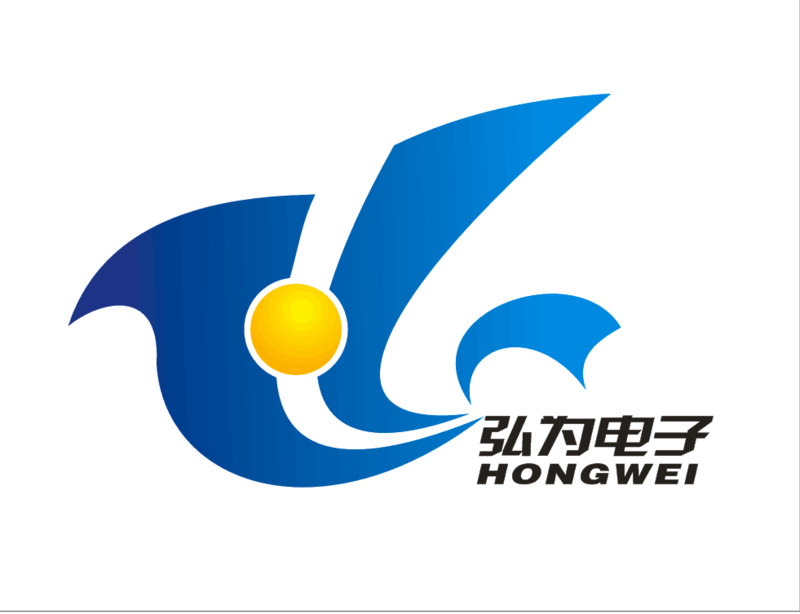 Chengdu Haiwei Huaxin (HiWafe< /u>r), the RF GaN patent was launched three years ago and is currently the most powerful Chinese patent challenger. Crui in the GaN HEMT patent competition for RF applications Leading the way, especially in GaN-on-SiC technology, far exceeds its major patent competitors Sumitomo Electric and Fujitsu. An analysis of the Cree RF GaN patent portfolio shows that it can effectively limit patent activity in this area and control the free operations of other vendors in most major countries. Intel entered the GaN HEMT patent field after Career and is currently the most active patent applicant.It should continue to strengthen its patent status in the next few years, especially for GaN-on-Silicon technology. 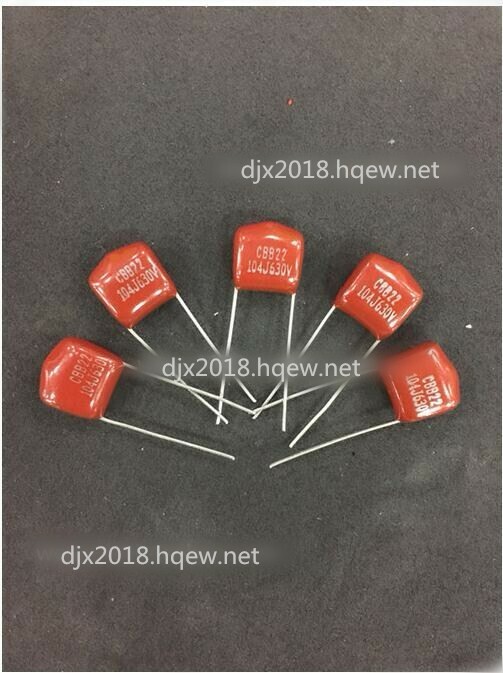 The new entrants in the patent field related to RF GaN HEMT are mainly Chinese companies such as Haiwei Huaxin, Sanan IC and Beijing Huajin Skyworth Electronics. Other notable new entrants include Taiwan's TSMC and Wave Optoelectronics (Wave) and South Africa's Wavice and Gigalane, Japan's Advantest, and US MACOM and Ansenmei Semiconductor (ON Semiconductor). This report analyzes in detail the core patents and latest patents held by major patent applicants and new entry manufacturers. Only a few patents explicitly claim GaN The type of main substrate. 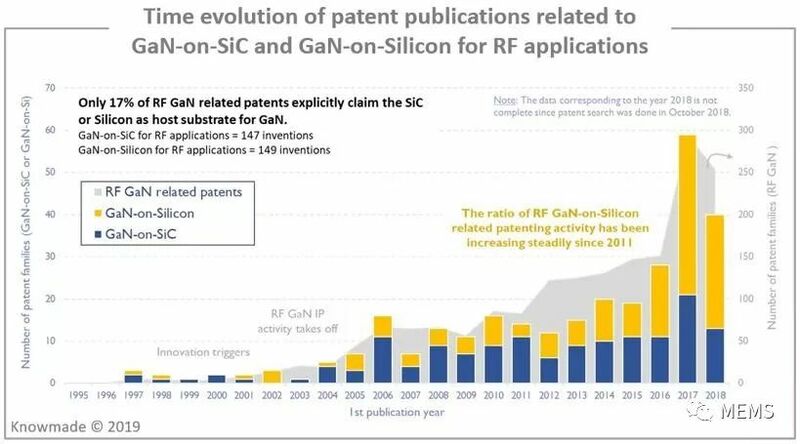 Since 2011,Patent applications related to RF GaN-on-Silicon have been growing steadily. The main patentees in this technical direction are Intel and MACOM, followed by Sumitomo Electric, Infineon, Panasonic, Haiwei Huaxin, China Electronics, Fujitsu and Mitsubishi Electric. This report provides a detailed analysis of the invention patents for suppressing parasitic channel layers formed near the surface of silicon substrates (which adversely affect high-frequency characteristics), and focuses on patents related to packaging and thermal management of GaN-on-Silicon devices. 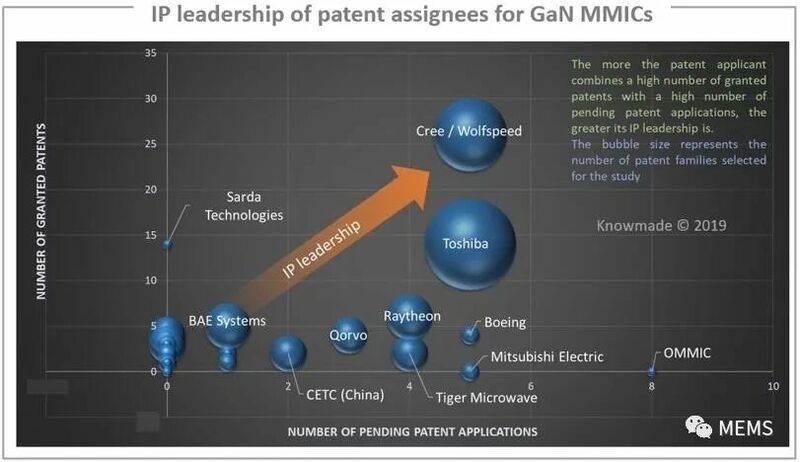 At present, more than 30 manufacturers have applied for patents related to GaN MMIC, among which Toshiba and Cree With the most important patent portfolio, Cree has the strongest patent layout in this field, but Toshiba, the latecomer, is currently the most active patent applicant in the GaN MMIC patent field. Given Toshiba's current patent application trend, it should In the next few years, the patent layout in this field will continue to be strengthened. Toshiba's recent patent application covers the packaging of GaN MMICs, as well as MMICs that can enhance the capacitance of capacitor wires. 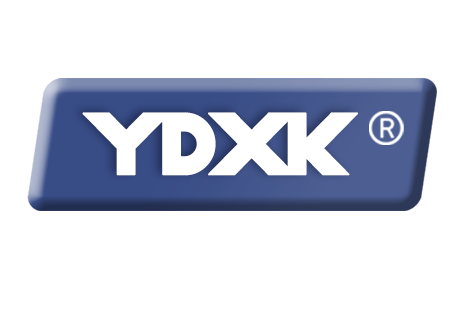 Technology can maintain and withstand the voltage required for each MIM capacitor while reducing device size. Key new applicants in the GaN MMIC-related patents include Tiger Microwave (Beijing) and Beijing Hua Jinchuangwei Electronics. This report details the main patents owned by companies such as Cree, Toshiba, Raytheon, Northrop Grumman, MACOM and Qorvo.The focus is on MMIC patents covering GaN-on-Silicon technology. This report analyzes the relative patent status of major patent owners in functional devices such as RF amplifiers, RF switches, and RF filters. Cree is a leader in patents related to GaN RF amplifiers, and other major patent owners in the field include Toshiba, Fujitsu, Mitsubishi Electric, Qorvo, Raytheon and Sumitomo Electric.MACOM, which later entered the patent field of GaN RF amplifiers, is gradually emerging from the growing number of patent applications. Currently, Intel is the most active patent application for GaN RF switches, and Tagore Technology is the most noteworthy new applicant in the field. There are more and more patent applications for RF filters using Group III nitride epitaxial layers. Intel is currently the main patent applicant for GaN RF filters. 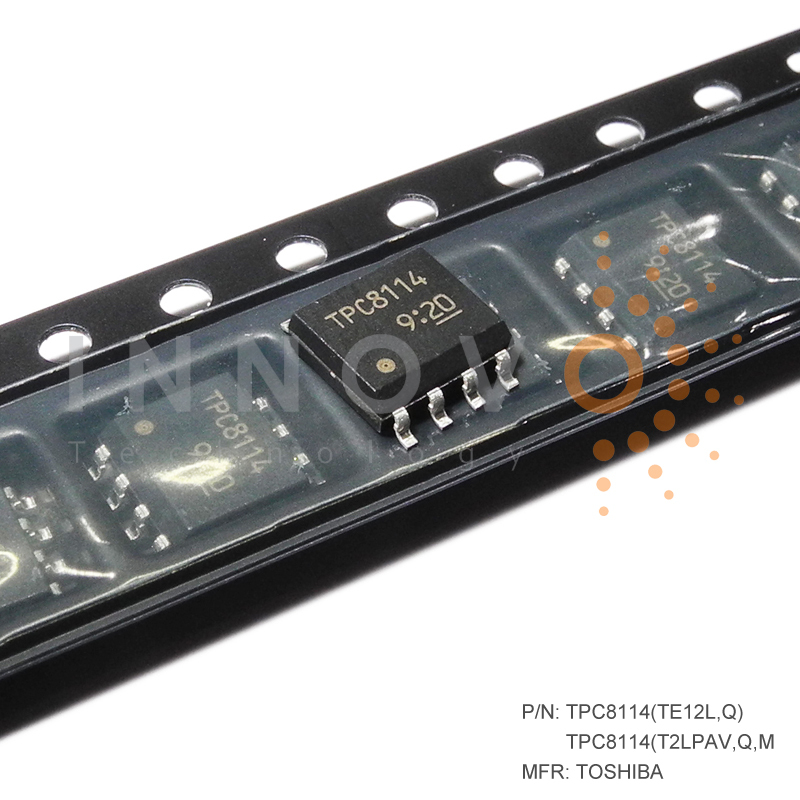 Toshiba is the most active patent application in the field of RF GaN device packaging People, especially RF semiconductor amplifiers and MMIC packages. This report details the patents related to plastic molded packages from Cree, Infineon, Sumitomo Electric, NXP, MACOM and Mitsubishi Electric. This report analyzes China Electronics, Xi'an University of Electronic Science and Technology, Toshiba, Cree and Haiwei Huaxin Microwave/millimeter wave band RF GaN related invention patents, and highlights the invention patents that clearly point to 5G wireless systems. ●China's OLED patents are already ahead of South Korea, and market share is expected to surpass South Korea in 5-10 years. ●Smart door locks as a new generation of smart home entry devices, why are they sought after? ●Future car articles will take you first to experience the travel experience of 2030! ●How far is China's energy storage industry and international development level? 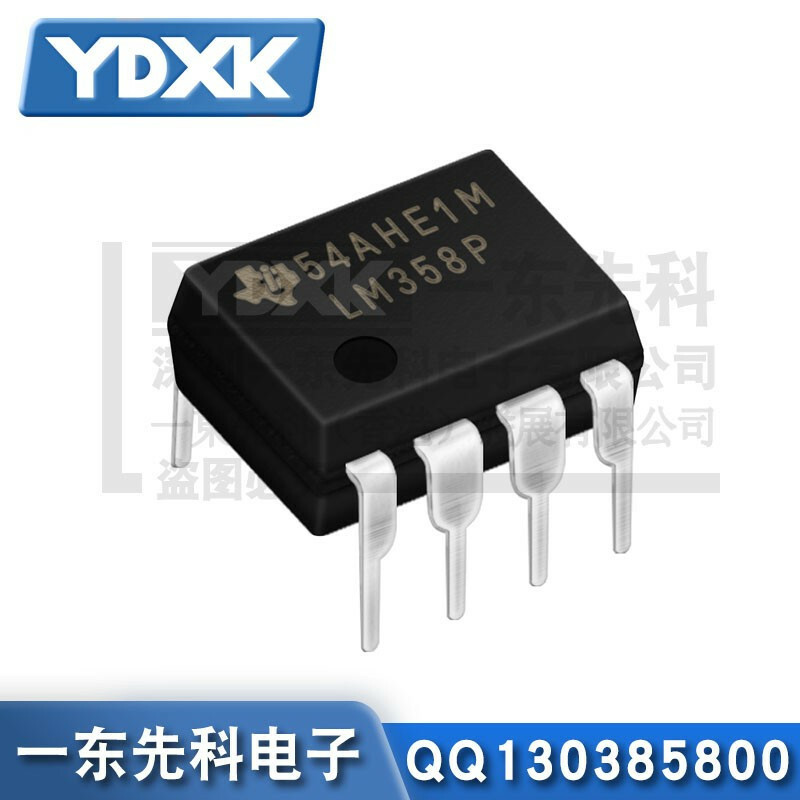 ●Progress in semiconductor technology leads the way in the development of materials technology, and the advanced packaging market is growing fast.